Greenville, SC, Selma, AL, Orlando, FL, Richmond, VA, Quakertown, PA, Pennsburg, PA, Pottstown, PA, Easton, PA, Lansdale, PA, King of Prussia, PA, Oswego, NY, Pulaski, NY, Syracuse, NY, Charlotte, NC, Irving, TX, Lafayette, IN, Indianapolis, IN, Memphis, TN, Norman, OK, Jackson, MS and Darlington, SC just a few of the many, many places where I was fortunate enough to live, work and enjoy my hobby of R/C racing. 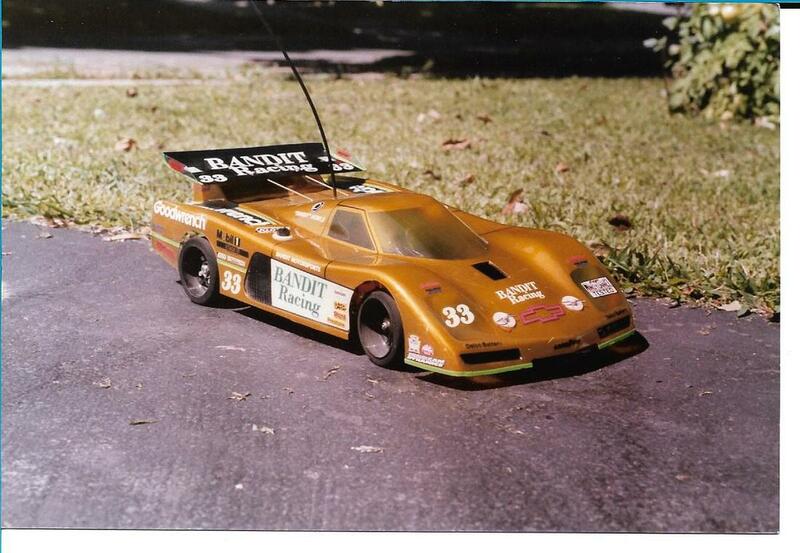 It all began with the purchase of my first R/C car, a Associated RC10 kit, back in 1982. After spending over a week to get it assembled, painting the body, it was time to get the steering & speed controller servos installed. 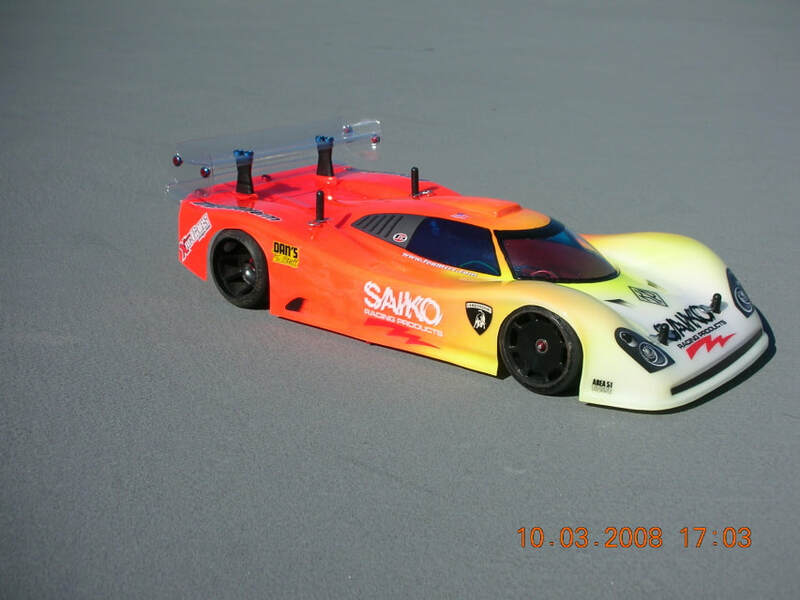 With that task completed, I installed AA batteries in the radio, turned it on, installed a 6 cell battery pack in the car and watched with amazement as my new R/C car went wide open and flew off my work bench. It quickly became very obvious that I must not have things adjusted correctly. It was also the moment that I realized at there had to be a better speed control than the resistor/wiper one that came with the kit. Novak was the answer! After getting over the shock of seeing my new car flying off the work bench, I was able to get everything correctly adjusted and it was time for the fun to began. It only took a few minuted of running the car in the parking lot across the street to realized that I was hooked! 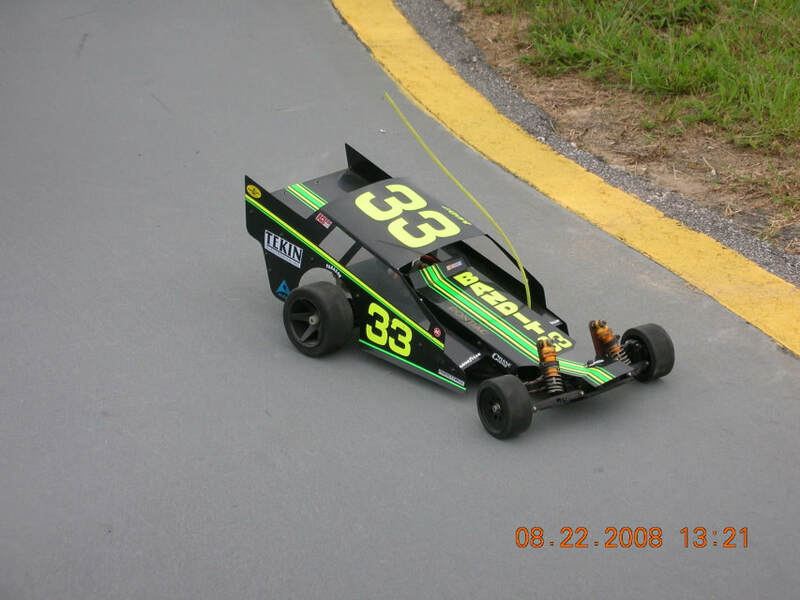 From that simple beginning, my journey in R/C racing took many directions which allowed me to race in many places across the eastern US. 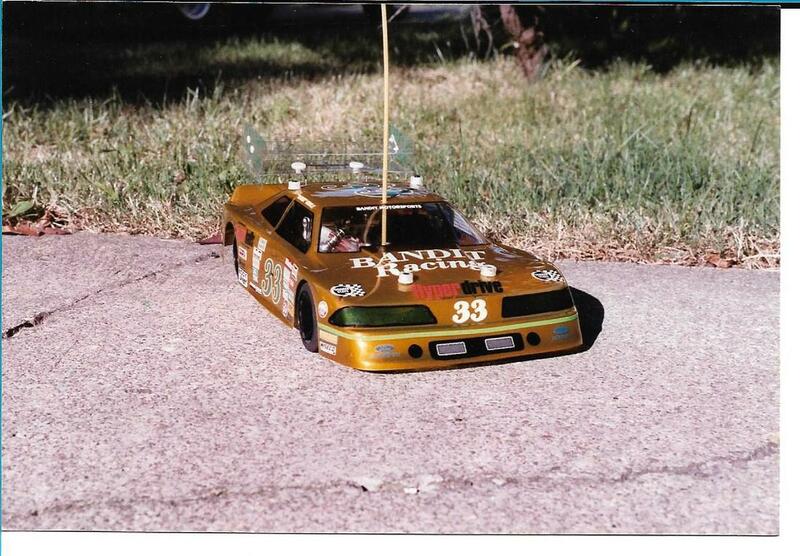 Until my transfer to Pennsylvania in the spring of 1984, my R/C experience had been limited to bashing around in a parking lot alone or sometimes with a couple of buddies. 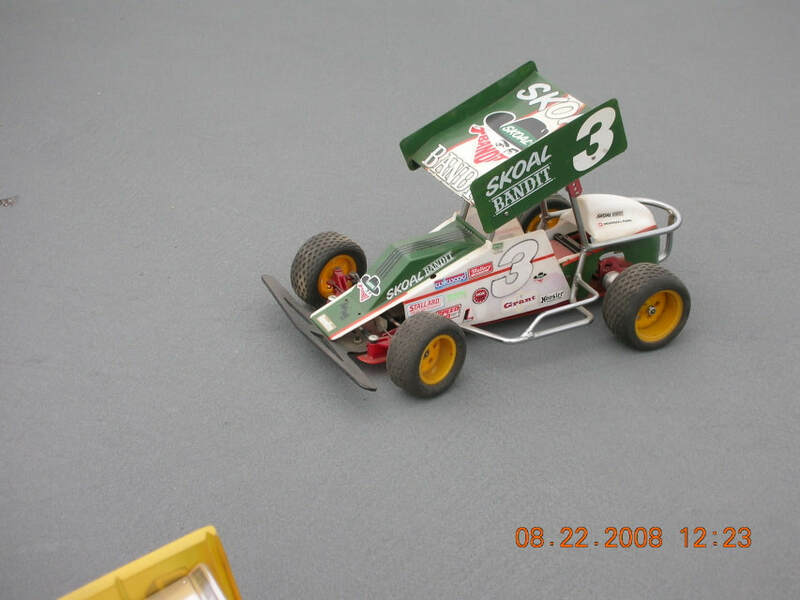 My first taste of real competition R/C racing came about during that first summer after I discovered a small dirt oval in Pennsburg, PA. There were a great group of guys there and they were all very helpful in getting me headed in the right direction. The summer & fall of 1984 was a blast, but with the cold Pennsylvania winter approaching, I began to seek out indoor places to race. 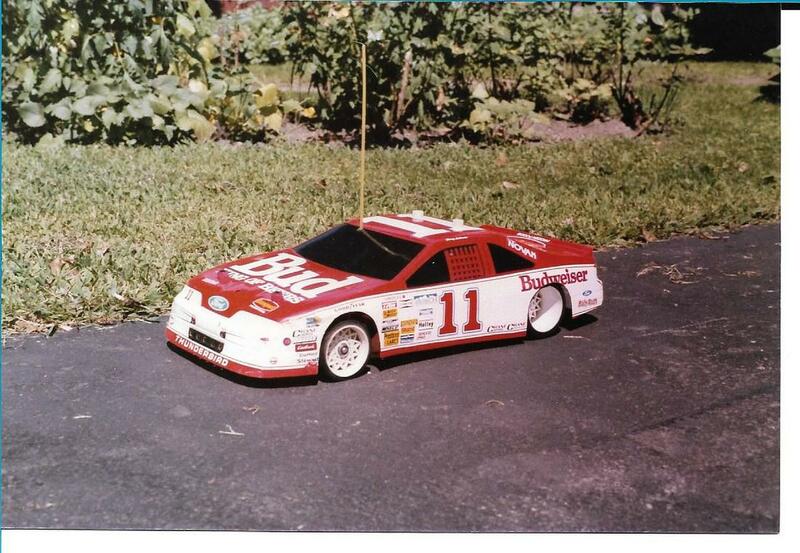 The fist track that I found was at a Hobby Shop in Pottstown, PA. 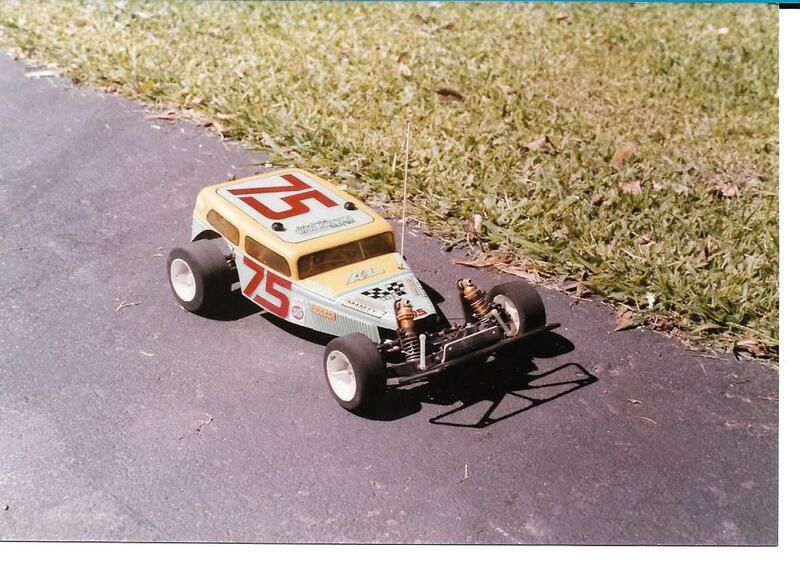 I entered their 16 week winter pan car series which was held on their indoor carpet track. 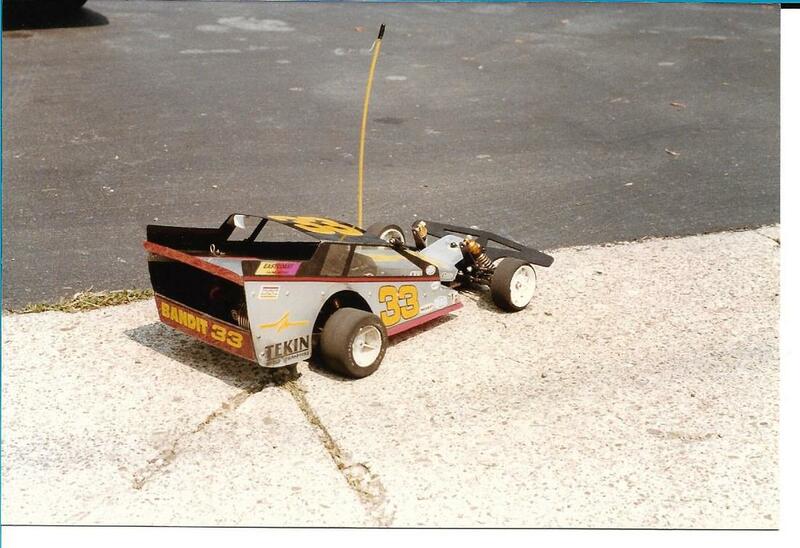 Race Place in Quakertown also held several indoor carpet races that year and I was there for all of them. 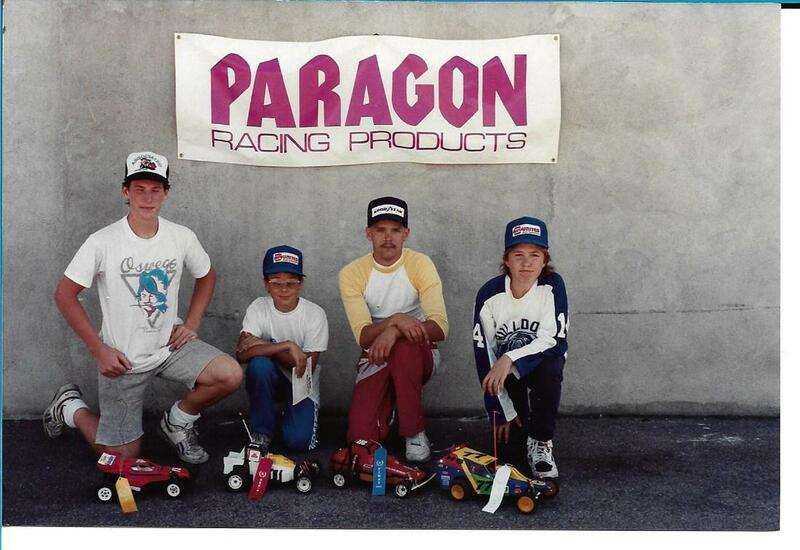 During my time there in Pennsylvania, I made made up to Easton , Pa to Trains & Lanes and spent many hours on their indoor carpet oval track. 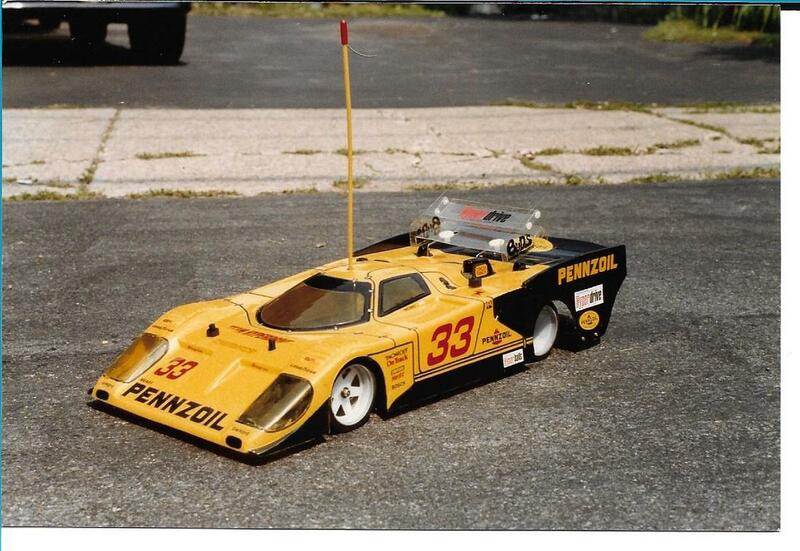 In January 1985, I has fortunate enough to participate in the R/C event held at the Valley Forge Convention Center, as part of the Miller Beer World of Motorsports Exhibition. 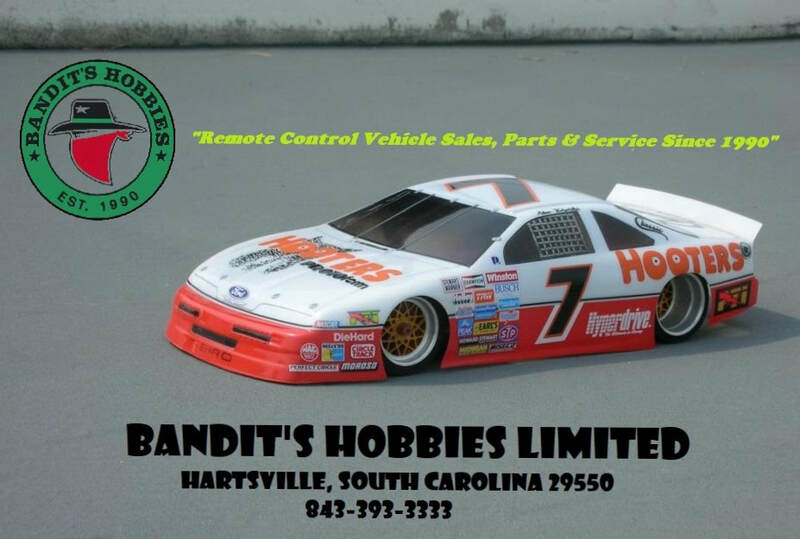 In April of 1989, my work took me to Oswego, New York and soon after getting my family settled in, I discovered Oswego Hobby and the owner, Dave Patty. 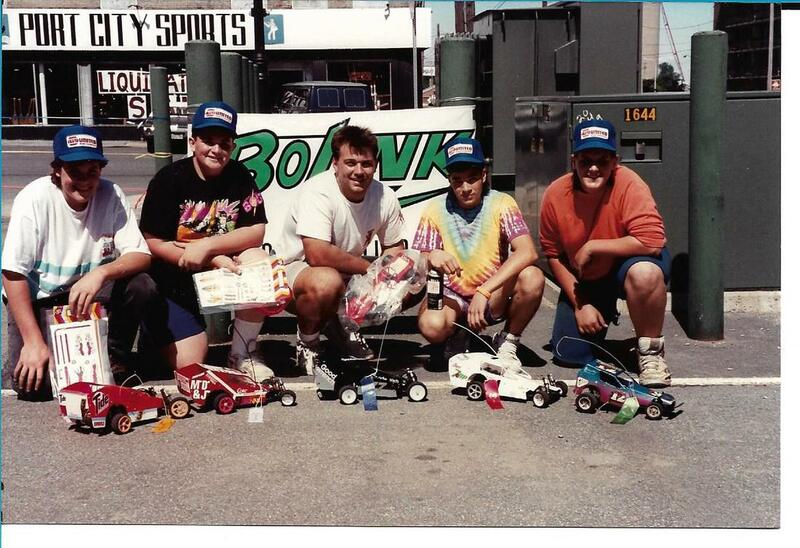 Soon after I met a R/C racer named John Cianfarano who knew quite a few other racers and within a short time the Oswego R/C Club was formed and we were having Sunday afternoon R/C races in a city parking lot in downtown Oswego, NY. Our parking lot races became a hit, not only with the racers whose number was increasing, but our activities were drawing many spectators to the parking lot to watch. In addition to our parking lot racing, our club put on several visible events during the Labor Day weekend in association with International Classic Race Festival at the Oswego Speedway. 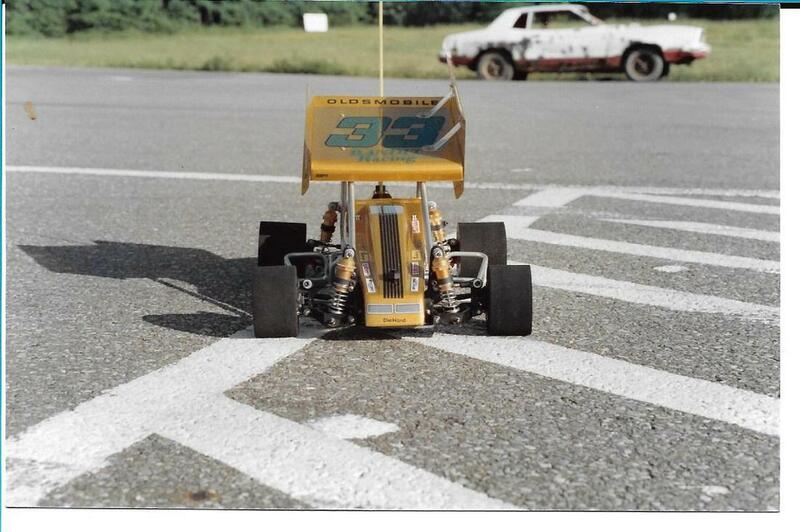 My work in Oswego kept me there for almost 2-1/2 years which gave me the opportunity to get in lots of indoor carpet oval racing on those cold, snowy New York weekends. 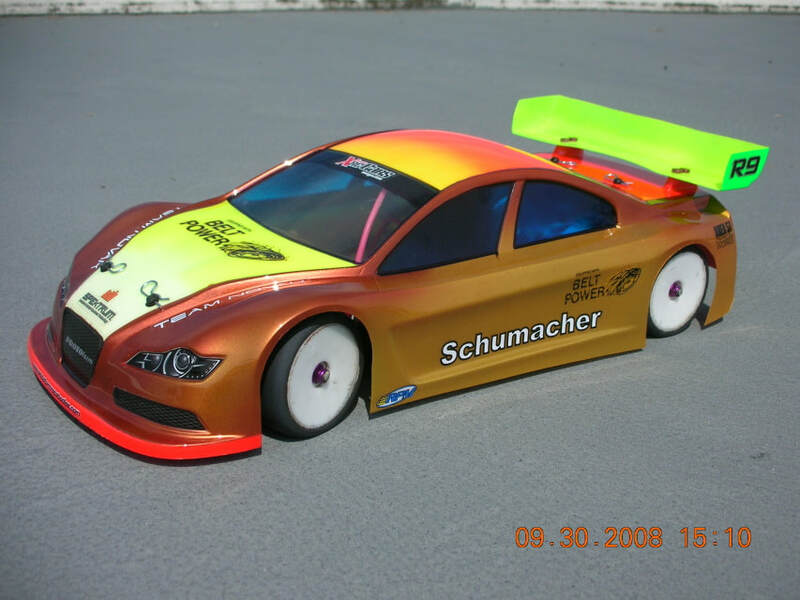 I spent many snowy Saturday night at R/C Competition Corner & at Walt's Hobbies, both in the Syracuse, NY area and on warm sunny Sunday afternoons at Salmon River Hobbies in Pulaski, NY. 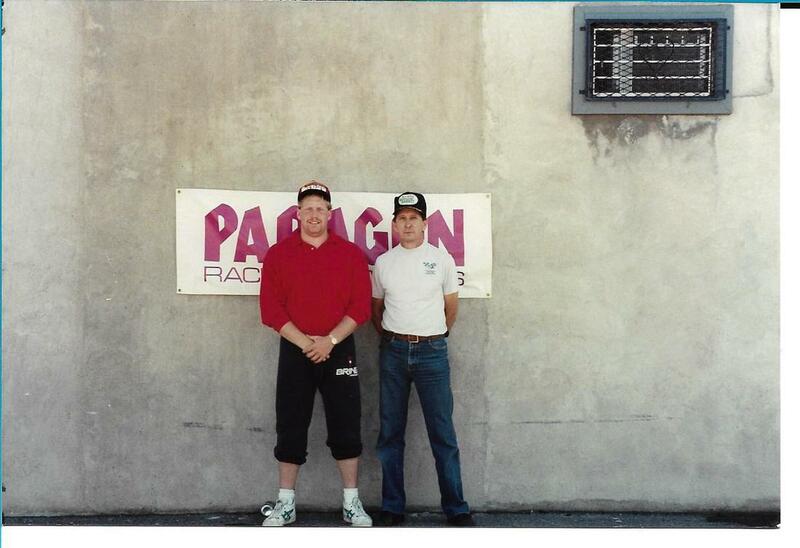 They had a very large flat asphalt oval track in one of the city parks and I was a frequent competitor there during the summer of 1990-1991. The pictures I have posted below were taken during my time in Oswego, NY. 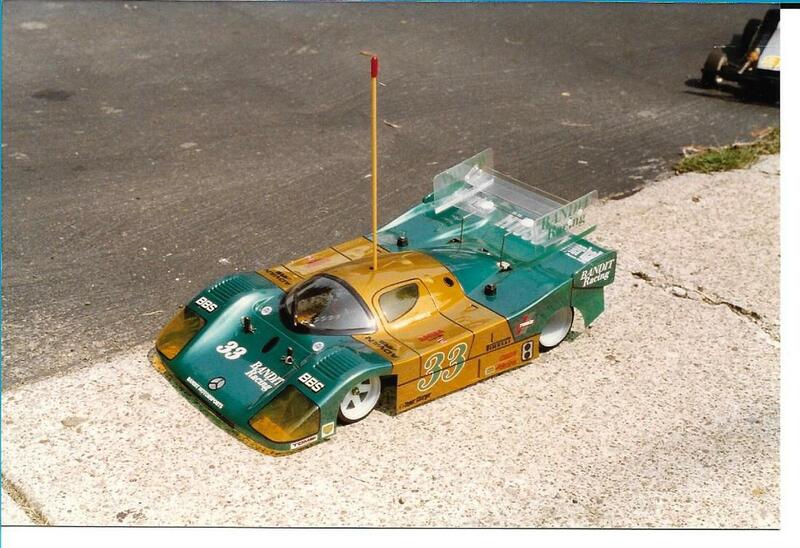 In the last year, I have been able to make contact with Dave Patty (Oswego Hobby) and John Cianfarano. 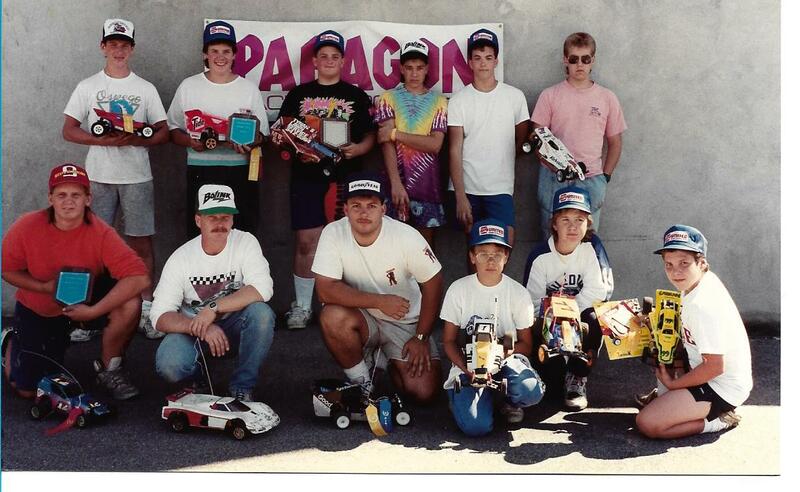 I wish I could remember who all of the club racers were from back them. Of those pictured below, there are only three (3) that I can put a name with the face; one is Joe Johnson, another is my son Brad and lastly, John Cianfarano. If anyone who visits this page is able to put some names with the faces, I would appreciate you contacting me at bryan@banditshobbies.com. 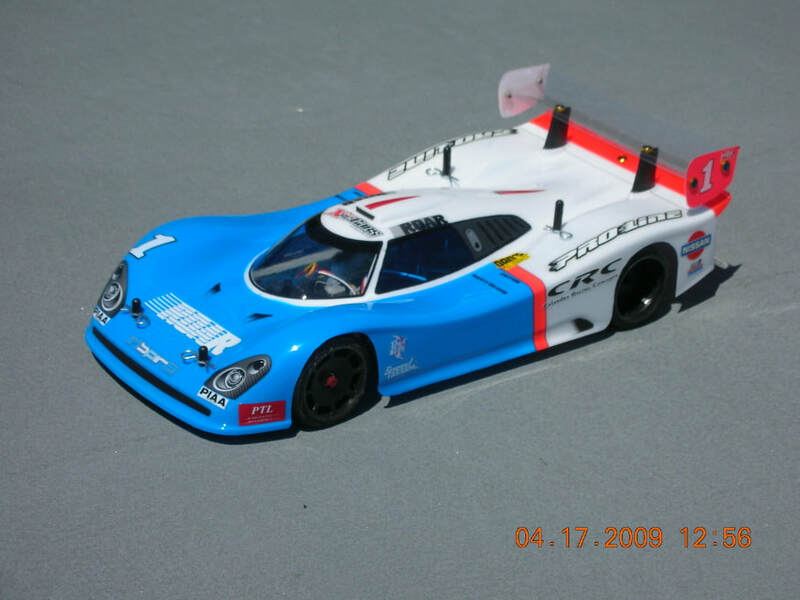 A few pictures of some of my most memorable R/C cars from the past. Definitely vintage by today's standards, but in no way were they slow. 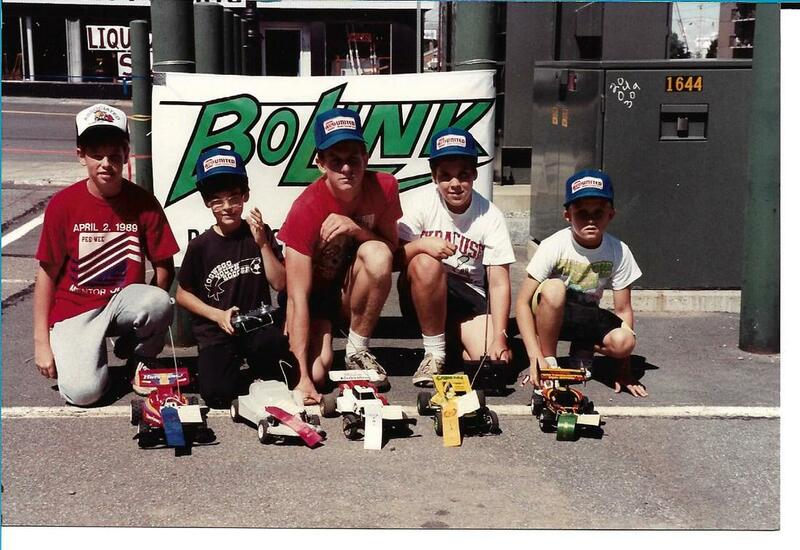 There were NO Lipo Batteries, NO Brushless Motor Systems and NO 2.4 HRZ Radio Systems back then. 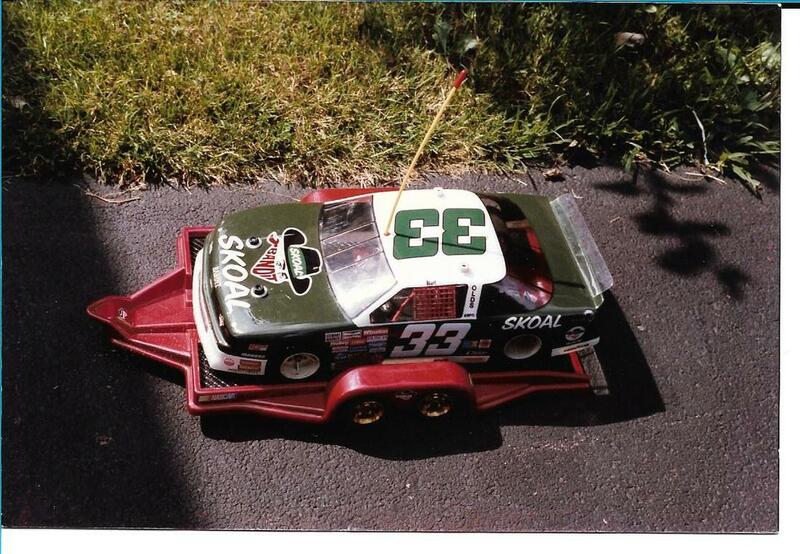 Who remembers having to "impound your radio"?